There are approximately 100 million baby boomers (aged 50 and over) in the United States making up 30% of the nation’s population and three-fourths of its wealth[i]. This group is expected to live longer than previous generations. This is the largest population segment in our economy and they are seeking professional help for their aging bodies. These members/clients, once thought of as the exception, are now becoming the norm. They have heard that not all exercise is created equal and they will be looking for studios, programs and professionals who understand who they are, what they are suffering from, and how they can be helped to restore function and preserve their quality of life. Their goals are different from those who are just looking to boost their fitness levels. The Medical Fitness Network (MFN) was founded in 2013 due to the necessity of servicing our aging population. America’s aging are internet savvy and spend time researching online before deciding who and where to get help from when their physician suggests starting an "exercise program". MFN is a free online resource directory for consumers to locate fitness studios who provide services for those with chronic disease, medical conditions, disabilities and women's health issues including pre & postpartum care. MFN donates its service as a database management company to non-profit medical organizations who do not offer resources for locating qualified exercise & holistic health professionals. Many of the top organizations are partnered with the Medical Fitness Network. This project was featured in the Huffington Post in February and in May was acknowledged by the White House as a finalist for Champions of Change in 2016 for its community service work. AFS Facilities can join to increase their online exposure and credibility for a special reduced rate for the first year of only $99. Membership to the Medical Fitness Network includes a full page business listing plus unlimited professional memberships for each of the staff to promote their services and specializations under the facility listing. MFN believes education is important and has partnered with 50 education companies that provide members with savings on certifications and CEC's. Fitness & allied healthcare professionals working with the aging population must have a higher level of knowledge, skill and expertise, and it’s this type of education that has the highest growth potential. It is clear, the demand for more medical fitness facilities and professionals will only grow as our population grows and ages. MFN is bridging the gap by providing a much needed platform for potential members/clients to find these professional medical fitness services, programs & classes. The fitness and healthcare industry is a large benefactor of a longer-living active community. The MFN offers an opportunity for studios & fitness professionals to become an established part of the healthcare team. Please join this registry today! 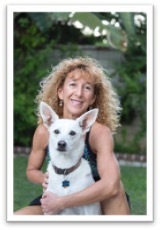 Lisa Dougherty is the founder of the Medical Fitness Network. Her vision is help improve the quality of lives of the many millions of people by connecting them with facilities and professionals who have background in prevention, treatment & rehabilitation of chronic disease, medical conditions, disabilities and women's health issues including pre & postpartum care. Lisa has worked in the fitness industry since 1999. She graduated from the University of Ca, Irvine, Fitness Instructor Program, and went on to get her Certified Personal Trainer and Health Coach Certifications through the American Council on Exercise. 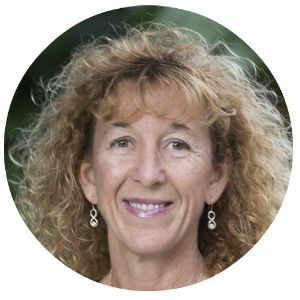 She has many specialty certifications to work with arthritis, CVD/stroke, breast cancer, diabetes, fibromyalgis, knee & hip replacement, MS, osteoporosis, Parkinson's, post surgical/rehab as well as pre & postpartum fitness.